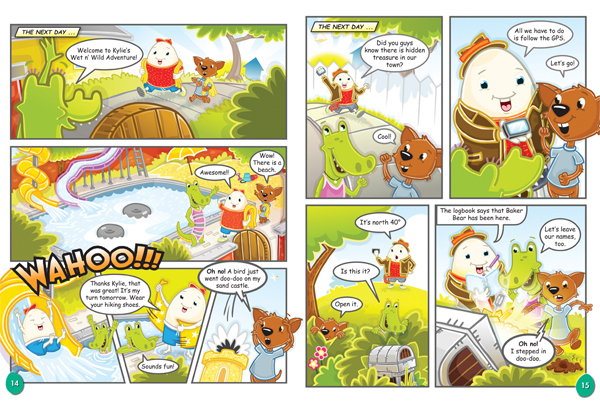 Introducing the new Humpty Dumpty comic!! 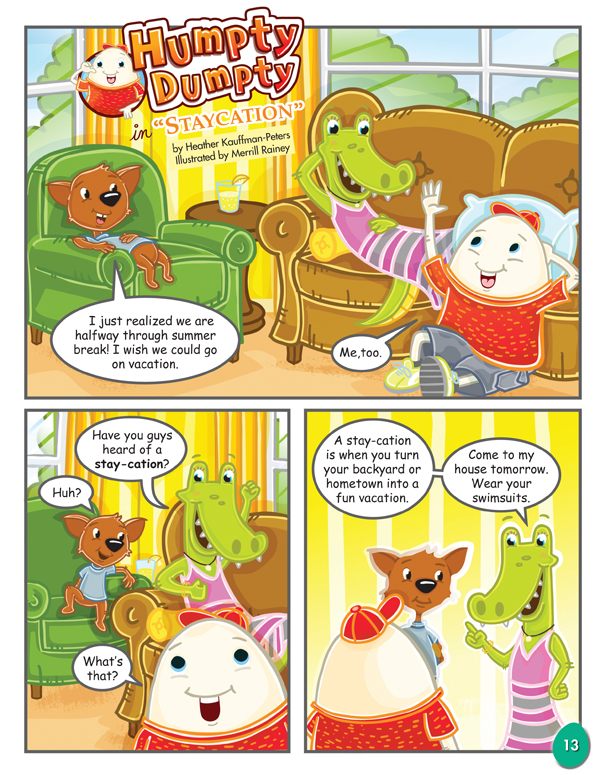 Recently I had the pleasure of working with the AWESOME crew over at US Kids Magazines to redesign the Humpty Dumpty characters, and comic for the July/August 2013 issue of Humpty Dumpty magazine. 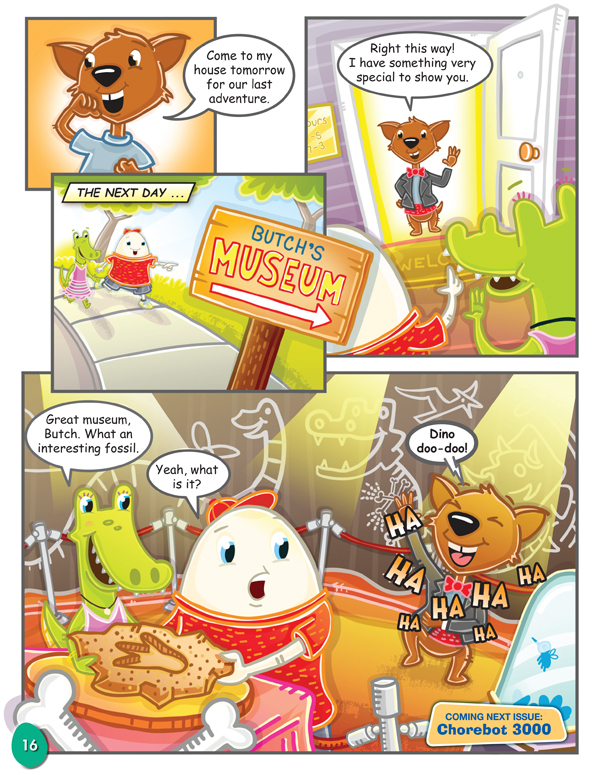 It was a great experience, and I really enjoyed how everything turned out. 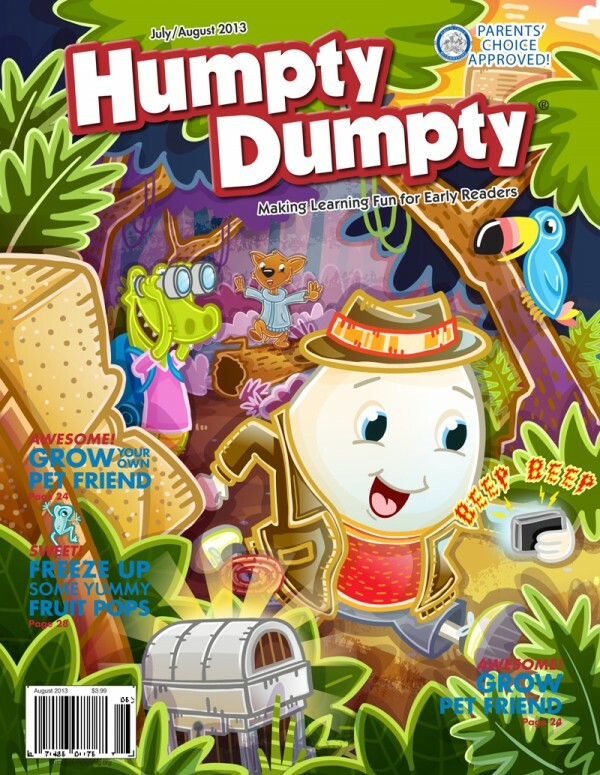 Check out all of the new work below, and be sure to stop by your local newsstand where for the first time Humpty Dumpty magazine is available for purchase! !